WRITTEN BY Shakespeare in about 1597, The Merry Wives of Windsor, the bard's comedy of middle-class English life, is set to receive a contemporary setting in a new performance by the Royal Shakespeare Company. The Merry Wives of Windsor will be staged in Stratford-upon-Avon, and broadcast live to The Eye Cinema, on Wednesday September 12 at 7pm, with David Troughton in the lead role as John Falstaff. 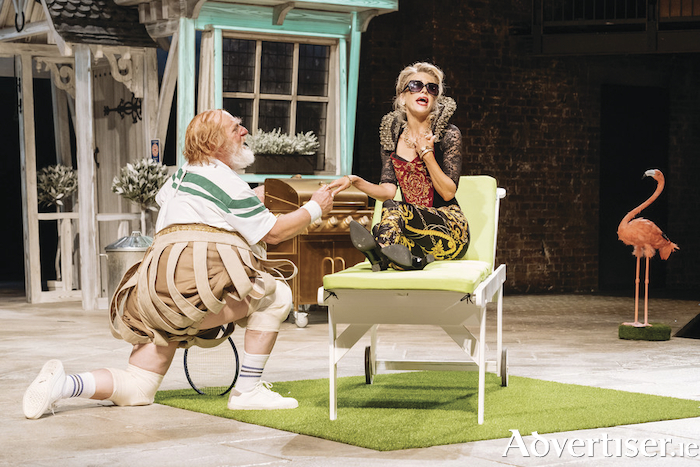 Down on his luck in the suburbs, Falstaff plans to hustle his way to a comfortable retirement by seducing the wives of two wealthy men. Unknown to him, it’s the women of Windsor who really pull the strings, orchestrating Falstaff’s comeuppance amidst a theatrical smorgasbord of petty rivalries, jealousies, and over-inflated egos. For more information and bookings see www.eyecinema.ie or call 091 - 780078.